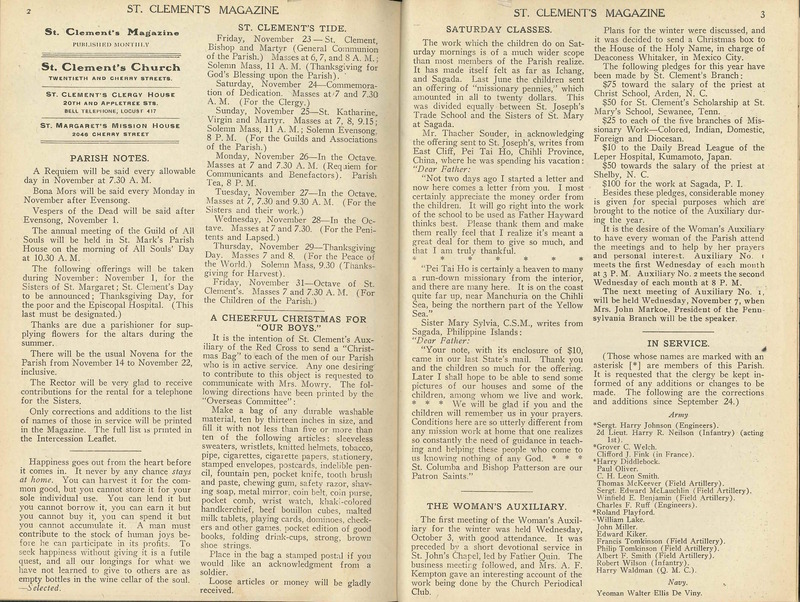 This entry was posted in St. Clement's Church and tagged Anglo-Catholic Parishes, Charles S. Hutchinson, Logan Square, St. Clement's Magazine on December 7, 2018 by mjk38. 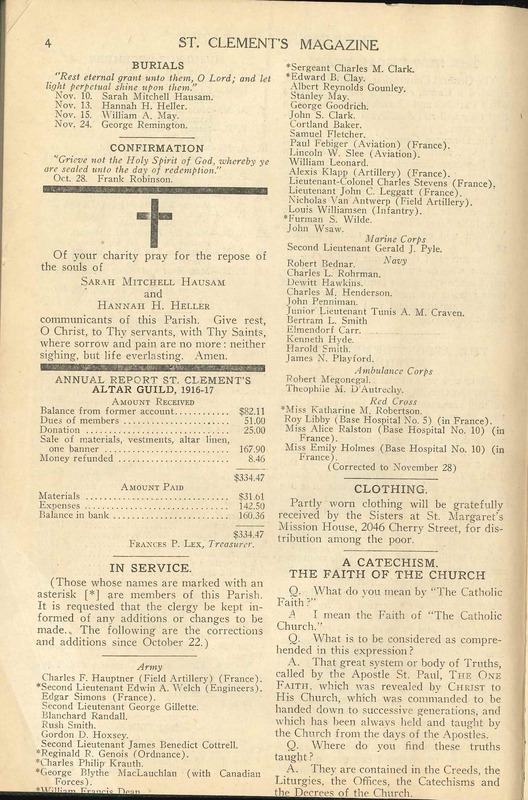 This entry was posted in St. Clement's Church and tagged Anglo-Catholic Parishes, Charles S. Hutchinson, Logan Square, St. Clement's Magazine on November 3, 2018 by mjk38. 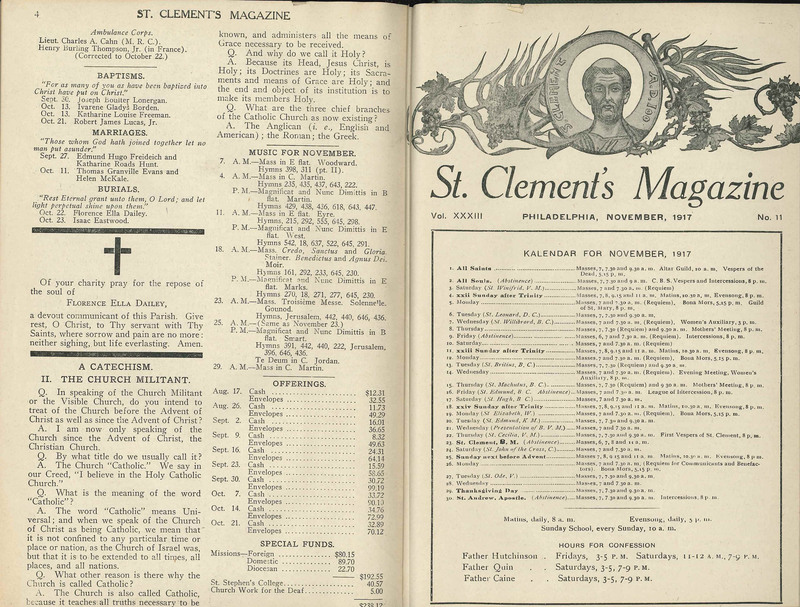 This entry was posted in St. Clement's Church and tagged Anglo-Catholic Parishes, Charles C. Quin, Charles S. Hutchinson, Logan Square, St. Clement's Magazine on August 19, 2018 by mjk38. This entry was posted in St. Clement's Church and tagged Anglo-Catholic Parishes, Charles S. Hutchinson, Logan Square, St. Clement's Magazine on August 19, 2018 by mjk38. 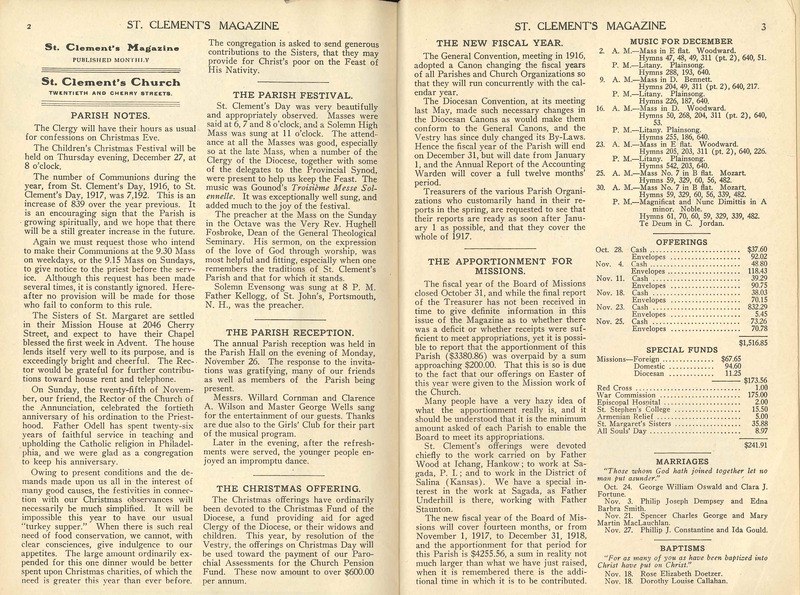 This entry was posted in St. Clement's Church and tagged Anglo-Catholic Parishes, Charles C. Quin, Charles S. Hutchinson, Logan Square, St. Clement's Magazine on July 19, 2018 by mjk38. This entry was posted in St. Clement's Church and tagged Anglo-Catholic Parishes, Charles C. Quin, Charles S. Hutchinson, Logan Square, St. Clement's Magazine on July 15, 2018 by mjk38. This entry was posted in St. Clement's Church and tagged Anglo-Catholic Parishes, Charles S. Hutchinson, Logan Square, St. Clement's Magazine on July 13, 2018 by mjk38. This entry was posted in St. Clement's Church and tagged Anglo-Catholic Parishes, Charles C. Quin, Charles S. Hutchinson, Logan Square, St. Clement's Magazine on July 13, 2018 by mjk38. This entry was posted in St. Clement's Church and tagged Anglo-Catholic Parishes, Charles C. Quin, Charles S. Hutchinson, Logan Square, St. Clement's Magazine on June 25, 2018 by mjk38.